I was invited by my friend Mehdi Fallahian to participate in a plein air paint out in Snoqualmie Washington. I encouraged a few of my students, Bin Li, Liz Talley and Min Zhong, to participate as well. I drove to the Duvall Park & Ride, where I joined Bin and Min in Bin's truck. We then went off together to the event. As soon as we arrived I knew what I wanted to paint. There was an old boxy tavern named Smokey Joe's, about a block off Railroad Avenue on King Street. 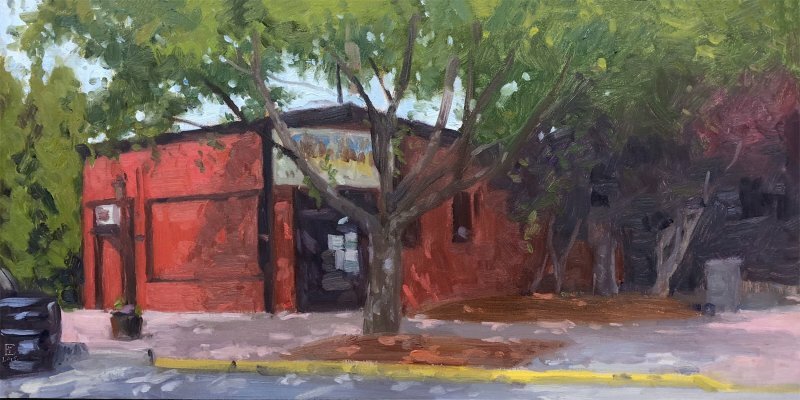 I set up across the street, and did the painting alla prima. Sometimes a new start is abandoned before it really gets going. Then after several months out of sight and mind, it seems to awaken a spark of inspiration. This is just such a beginning. Normally this would be a subject for my Painter's Workshop page, but I thought I would share it on my Home page. 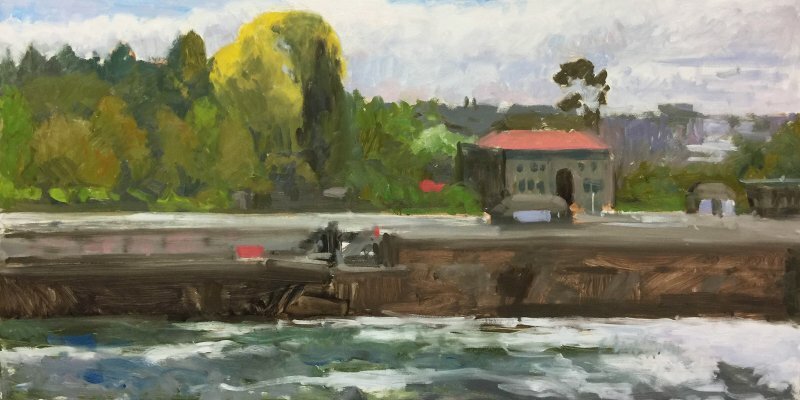 Before traveling to the Columbia River Gorge for the PNW Plein Air 2018 event, I spent a weekend in Spokane doing a workshop. We painted on Latah Creek and at Manito Pond. 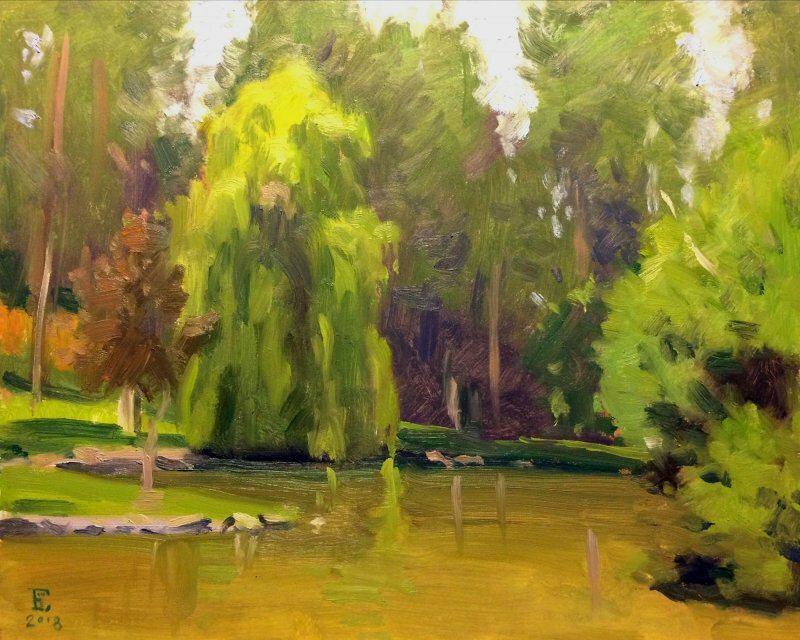 This painting was the demo for the Manito Pond session. I've spent the past week in the Columbia Gorge, with my friend John Laney. 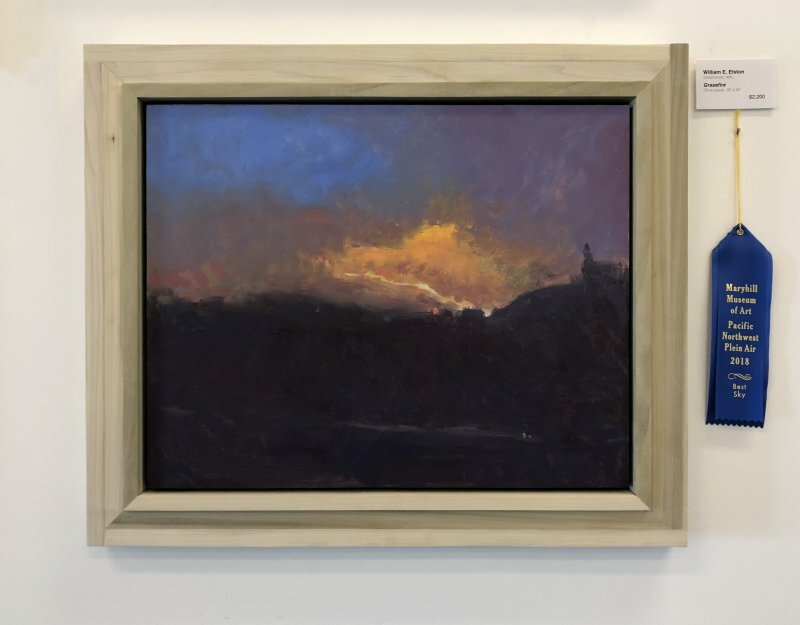 We were in the Pacific Northwest Plein Air 2018 event at Maryhill Museum.